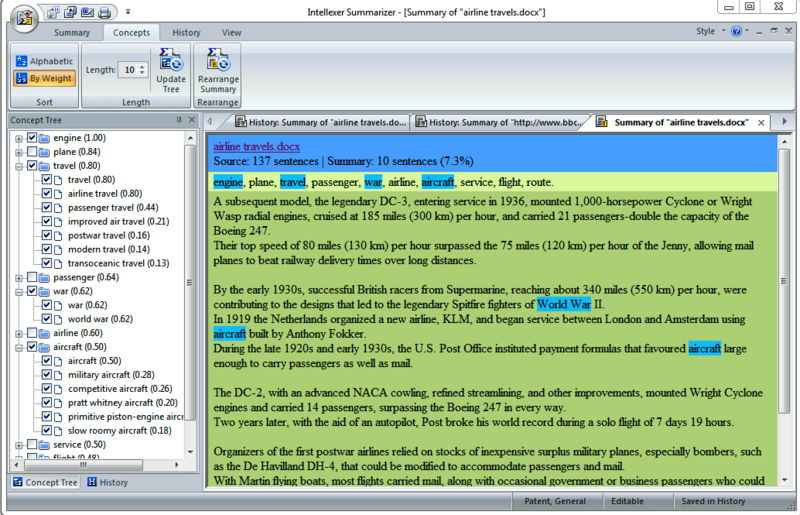 Summarizer 5.0 produces a text summary that truly contains its main ideas. 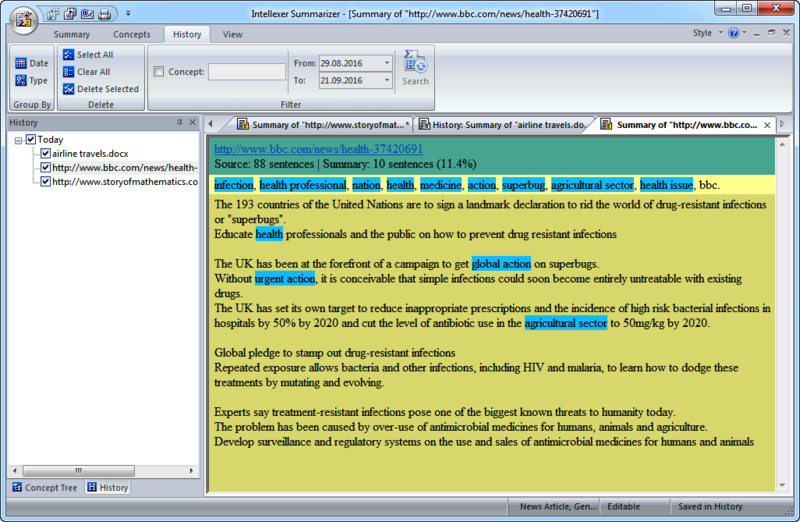 Summarizer guarantees an excellent quality of summarization by providing the selection of summary types (depending on structure and theme of a document). The concept tree ensures a better view of the text's inner structure. The size of the input text is not limited. The user-friendly interface is achieved by simple menu design. All the features are intuitively understood. This ensures smooth navigation as you are engaged in summary generation. 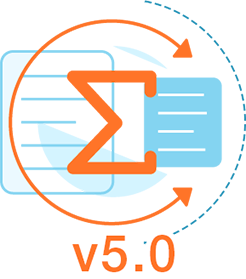 Integration into Google Chrome, Internet Explorer, Windows Explorer, Mozilla Firefox, Windows Shell, MS Word, MS Outlook. Names Recognition available in Pro version only.